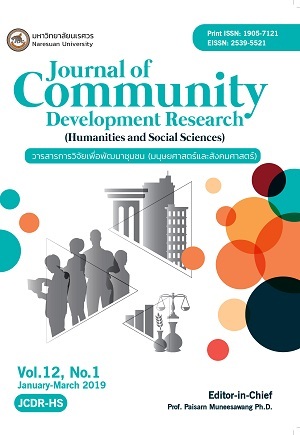 (HUMANITIES AND SOCIAL SCIENCES), Journal of Community Development Research. Front cover. Journal of Community Development Research (Humanities and Social Sciences), [S.l. ], v. 12, n. 1, mar. 2019. ISSN 2539-5521. Available at: <http://www.journal.nu.ac.th/JCDR/article/view/2439>. Date accessed: 19 apr. 2019.